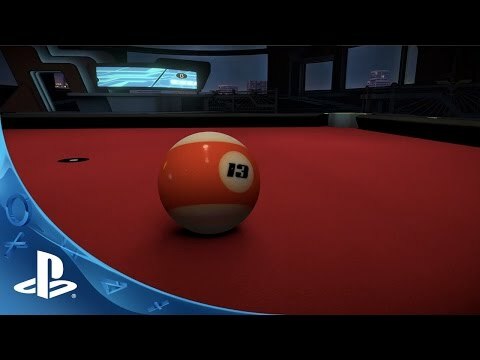 Rack 'em up and get ready to hustle as the king of pool games comes to PS4™, packed with exciting new features. Compete against the world in 1-on-1 matches and multiplayer tournaments to rise up the online league. Hone your pocketing skills through 4 levels of challenging career mode games. Enter daily challenges for big prizes and enjoy smart social features, with global activity feeds and a fresh new ranking system. ©2009, 2014 Sony Computer Entertainment Europe. Developed by Entertainment Products of Sweden AB. The Hustle Kings logo is a trademark of Sony Computer Entertainment Europe.